I encountered some issues with my system. 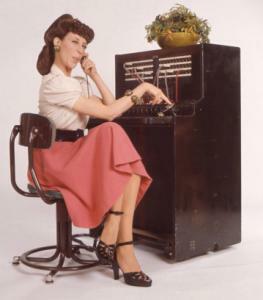 One day, I tried to call my home number from my cell phone speed dial and I got a lady on the other line. I asked her for her phone # and her number was completely different from mine and she was very upset. Apparently, all the people that have been trying to call my home have been reaching her. That's a pain! I spent an hour with tech support and didn't do anything for me, thus far. If, I login to my web account. I don't see any logs of incoming calls. But, when I call out the person in the other side sees my #. Weird...Anyway, If this has happened to any of you...please, let me know and how they got around it. Sounds like your calls are being forwarded to the lady's number ... have you checked your call forward settings in the lounge? Check this out. I don't know what it is with ooma support. They can't get it right! I'm so fricking frustrated with them. They deleted my 626-737 number, changed my secondary phone # with out my permission and i can't even call into my home at all. First or second line. I'm about to kick somebody in the nuts over this. So, i'm on the phone with the support team and the update is...they managed to delete my secondary number as well 760-***-*235 they assigned me a 760-***-*237 number without my authorization. My 62-***-*493 still lingering in limbo along with my secondary phone #. Crap...is this my luck or what? I have managed to be the first ooma customer to loose both his numbers in a period of two weeks. This has to be a record! I had the same exact problem as you except it was only from my parents home phone number. Basically, my dad would call and get someone elses voicemail. It was never picked up by anyone or rang for that matter; just always went to this guys voicemail. Ooma told me over and over that it was Verizon's fault. I have other relatives in the neighborhood that my parents live and they could call just fine thoguh. I finally got them to look into it and sure enough, everything worked two days later. Just keep on them, because it will take some time to resolve.